​Enjoy hitting the road like a Celebrity! When you’re planning to celebrate, you need to do to it up right! Go VIP the whole way! At, Richmond Hill Limousine service, we know how to make a scene memorable. Your personal chauffeur will show up promptly to pick you up and whisk you away for the night of your dreams. Your friends will be impressed by the sleek lines of the vehicle but more importantly the luxurious comfort inside. You will be secure in the knowledge that our drivers take their job seriously and provide a safe environment for all your guests. All eyes will be on you when you pull up to the hottest clubs in down. People will wonder who is behind the dark tinted windows…what famous or important person is waiting to emerge. Talk about making an entrance! Now, I know what you are probably thinking, “I’d love to be treated like the Rock star I am, but there is no way I can afford a limo”. Well, you might be surprised to find out our rates are more affordable than you think. We are aware that you have many limo companies to choose from, so we go out of our way to make sure we are the best and most affordable service available. ​At Richmond Hill Limos you’re getting a great value without sacrificing the high quality you’d expect. Our fleet of sleek limousines and a professional team of experienced Chauffeurs are on standby. Your only worries you be having a great time and selecting the next “IT” spot to see and be seen when you use Richmond Hill Limos. Richmond Hill will become your playground. 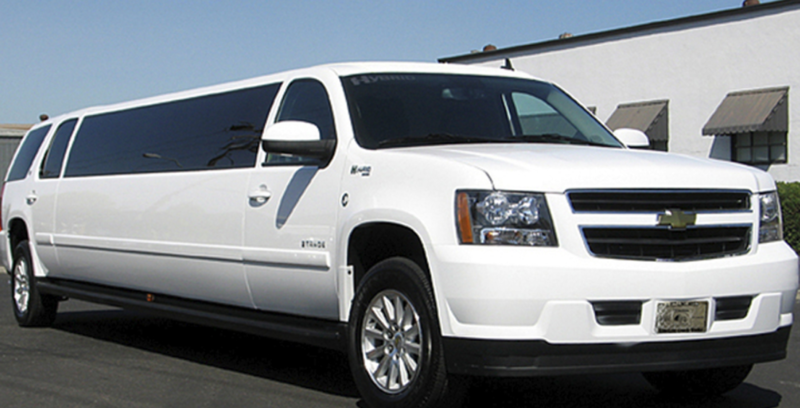 From the classic and elegant stretch limo to the newest Hummers, we have the Limo for you. We even have Party Buses that allow you to take the party with you. State of the art sound and light systems will thrill your guests and our optional catering will take care of all your beverage and food needs. With a little planning we can provide everything from Champaign and gourmet snacks to hotdogs and beer. Our services, are not just for the party crowd either. We are available to meet your needs anytime you need us, 24/7. When you hire our service we show up promptly and get you where you need to go day or night. We will get you to the church on time, or wave goodbye to you from the airport. • Family Events And more! Impress your clients and show them your company is all about style and presentation. Imagine their faces when you pick them up from the airport, or hotel in a beautiful stretch limo. Don’t be too surprised if it closes that deal your working on. Watch your daughter glow as the limo driver opens the door for her as she embarks on her sweet sixteen celebration. Or maybe just enjoy a great concert while avoiding the traffic jams. Get dropped off just a few feet away instead of parking and walking for miles. Are you in the dog house because you forgot to buy your special guy or girl an anniversary gift? I guarantee, all will be forgotten and forgiven when they see our limo sitting in the driveway. Consider, adding some roses and Champagne and you are all set for an unforgettable evening. No worries about how you will get home. We are your designated drivers so you can indulge in adult libations all you choose and rest assured, we will deliver you safely to your home at the end of the evening. Why risk getting a DUI, when we are ready to be the perfect solution. Our seasoned drivers are the best in Richmond Hill. Why take an Uber or a cab when this option is perfect and will comfortably fit all your closest friends and or family. When planning an epic night on the town with your friends, everyone wants to be able to indulge adult beverages but no one wants to drive and be the responsible “sober” one. Fun is on everyone’s agenda, not drawing straws to see who the loser is… so why not consider a party bus? Public transportation may be cheap but do you really want to show up to a special event in a city bus and worry about schedules and pick up and drop off points, this only puts stress on you and lessens the fun? Today, you have tons options when it comes to deciding how to get around. However, we feel we offer you the best option for your money. You could call an Lift or another ride share program but you don’t even know who those people are or what their driving habits are and I doubt their cars will be as comfortable. They aren’t even professional drivers; they’re just car owners. All of our drivers are qualified and fully trained professionals who know Richmond Hill like the back of their hand. They are licensed to operate all of our vehicles and have passed a background verification check for your safety. You and your complete satisfaction are their only concern. You will be in great hands when you trust us to get you “there” and “back” We guarantee our services and stand behind our drivers. Turn any boring evening into a stunning red carpet affair. Heads will turn the second your limousine pulls up to the door and you and your party exits. People will think you are “kind of a big deal” and don’t worry…we won’t say a word. You can enjoy living like the 1%, whenever you want. Just call us for a free quote. Don’t prejudge what you can afford before even calling us. You can have it all. You can enjoy class, style, luxury and fun with your very own personal limousine. Schedule now. You won’t find a better service anywhere!